top, boven 3 underrated shows? Arrested Development: This toon was absolutely brilliant! Great humour, unique premise, amazing cast - just brilliant. Veronica Mars: Definitely a "Better than it sounds" (link)show - the writing on the toon is perfection. Futurama: This toon is HILARIOUS!!! All the characters are money on this show. 1. Veronica Mars - If u know me, u know I'm a fanatic, and I REALLY think it deserves way meer attention then it got. 2. Freaks & Geeks - With a slight cult following, this comes in at #2 because I love it so much. The saddest part is that after a taste of 18 eps it was canceled. 3. My Name Is Earl - Being fairly popular, I still think it deserves meer attention then it has because it makes me laugh so hard while trying so little. Scrubs - it's genius, but a lot of people hate it. Ugly Betty - no one seems to be watching it, which is a shame, as it's great! Life - VERY underrated, ask anyone- most have never heard of it. 1. 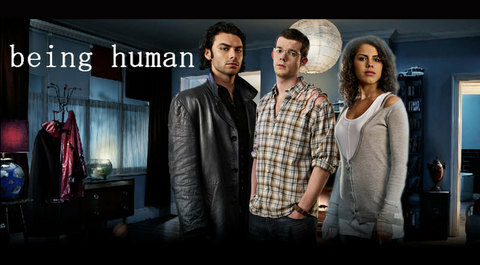 Being Human- seriously anyone who loves the vampire/werewolf genre NEEDS TO SEE THIS. 2. Friday Night Lights- Amazing! thats all I can say. 3. Battlestar Galactica- whoever writes this off as another cheesy Scifi space opera would be in for a giant shock. It was one of the best acted and written scifi shows of all time. Being Human is so awesome! I love that show! I would definately say veronica Mars. Not sure what my other two are, but I am still in disbelief the CW cancelled such an amazing show.